Spain and the UK – Between the Sword and Wall? The title of this post comes from a timely new paper on the likelihood of Catalan independence. Published by the University of Sydney as an Economics Working Paper, which you can access here. The full title is Between the Sword and the Wall: Spain’s Limited Options for Catalan Secessionism. 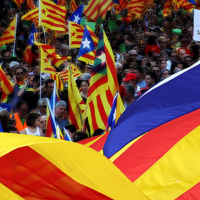 The authors do not argue for independence or secession, but use a game theory approach to suggest that independence for Catalunya is not just possible, but an optimum outcome for Spain, Catalunya and the EU. This conclusion is based on three assumptions. One, that there is a credible demand for independence, ie polls indicate that the pro-independence campaign has a good chance of winning the referendum. Two, the demand for independence is primarily or at least to a very large extent economically driven. 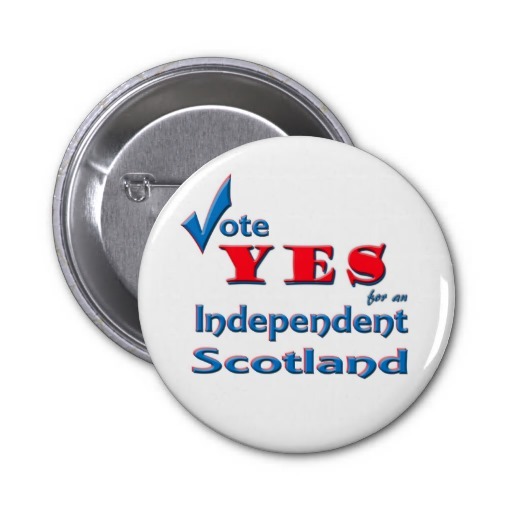 Simply put, the proponents of independence believe independence would make the new country better off. Thirdly, there is no threat of violence to stop independence. While the first two assumptions are very much in line with the situation in Catalunya, the third assumption may strike many as an assumption too far. However the authors present a convincing case for this, by arguing that the use of violence to suppress a peaceful democratic vote would be so damaging and disruptive for not just the Spanish economy, but for the eurozone as a whole that it can effectively be ruled out. Since the demand for independence is primarily driven by demands for greater economic powers the first option for the Spanish government would be to try and “buy-out” a proportion of the electorate by offering a better funding model favourable to Catalunya. This is unlikely to happen. Neither of the two main Spanish parties, the Conservatives and the Socialists, have shown any serious interest in this option. Furthermore as the authors point out, the cost of “buying-out” Catalunya may be too high a cost for Spain in its current economic situation. The Spanish government is probably too dependent on the tax revenues coming from Catalunya to be able to afford to forego this in order to keep Catalunya in Spain. It is worth noting that it was the failure of a previous attempt to agree a new funding package that led to the current wave of pro-independence support. If Spain cannot or will not offer Catalunya a new deal, then the referendum goes ahead. In this scenario there is likely to be a greater chance of a Yes vote for independence. In which case, according to the authors, the Spanish government would be forced to negotiate independence. At the moment the main deterrent used by the Spanish government is the claim that an independent Catalunya would not be internationally recognized and therefore excluded from the EU. However as the authors demonstrate this is a non-credible threat. The key point is that a newly independent Catalunya would have some powerful weapons at its disposal. The rest of the EU needs Catalunya as a transit space for much of its trade with Spain and North Africa. More importantly the threat of exclusion from the EU would be met by the threat of not accepting a share of Spain’s debt. This, plus the loss of Catalan tax revenues would put Spain in the perilous position of becoming bankrupt, seriously endangering the euro and the EU. Thus there would be enormous pressure from within Spain and from the rest of the EU for Spain and Catalunya to reach a swift agreement. An agreement based on full membership of the EU for Catalunya in return for the Catalans accepting a proportional share of Spain’s national debt. Could something similar happen in Scotland? As the UK is not in the eurozone, Scottish independence poses no threat to the euro. However the importance of the national debt is something that would be relevant in negotiations over Scottish independence. A recent paper on Scottish Independence and the UK’s Debt Burden from the National Institute of Economic and Social Research demonstrates that “in all cases, the UK’s debt to GDP ratio will rise, with possible consequences for its credit rating. At the same time, Scotland’s debt burden will be lower than the UK’s in all cases.” This is the scenario if Scotland becomes independent and agrees to take on a proportional share of the UK’s debt. Just imagine how bad it would be for the rUK if Scotland didn’t agree to this. Once again we have evidence that Scotland has some important cards to play in the event of negotiations. In general terms while the UK may not be in quite as parlous a state as Spain, the future economic prospects for the UK are far from rosy. In fact one can argue that the UK needs Scotland more than Scotland needs the UK. The loss of tax revenues from Scotland, including from the North Sea, would in all likelihood seriously worsen the rUK’s debt and current account. This probably explains why none of the main UK parties have ever considered granting full fiscal powers to Scotland. Despite all the bluff and bluster coming out of Westminster, the rUK cannot afford the option of Devo-max. As in Spain the only choice is between the status-quo and independence. For more and more people the status-quo is becoming a very unattractive option. From now on the ball is firmly in the courts of London and Madrid. We await with interest to see if they come up with anything positive. This is a view that no-one in the wider Yes campaign would disagree with. Unfortunately it needs to be repeated again and again. For the whole basis of the No campaign is that Scotland is not really a wealthy country. The only hope for the No side is to instil enough fear into the minds of a majority of Scots. Hence the constant barrage of reports on how small and fragile Scotland’s economy is and how risky independence would be. A complete distortion of the facts, but the facts have rarely figured much in the No campaign. Just how ingrained this perception is can be seen in a recent article on Conservative Home, the inhouse magazine of the Tories. The article accepted uncritically claims that Scotland is effectively subsidised by English taxpayers. To the readers of Conservative Home this is accepted as an established fact. I mentioned the article in Conservative Home because the new Wealthy Nation is a home for people on the right centre of the political spectrum. With their impeccable right of centre credentials, the arguments from Wealthy Nation cannot be dismissed out of hand as the wishy washy ramblings of pinko crypto socialists. So we can only hope that Wealthy Nation finds a warmer welcome from the media than most pro-independence websites. The other reason to welcome Wealthy Nation to the campaign is precisely because they are from the right of the spectrum. Not where I am to be found, but the campaign for Scottish independence is not the preserve of one political view. The key point of independence is that in future it will be the people who live in Scotland who have the final say on what policies to pursue, and thus what kind of Scotland we will all live in. Only independence opens up the prospect of a different Scotland, one made in Scotland and not one imposed on us from Westminster, and run in the interests of the South East of England. 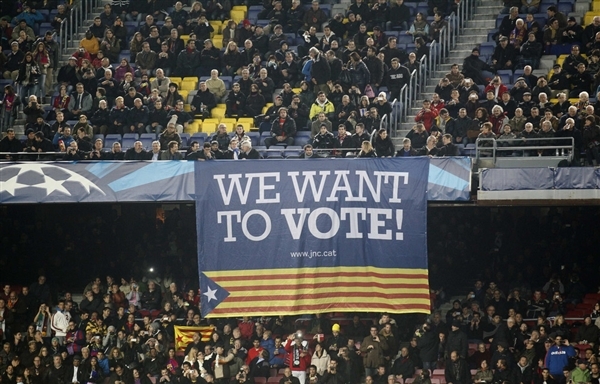 Why is Catalan referendum set for November? I must admit that I had not given much thought to this aspect of the proposed referendum on Catalan independence. That is until I read an interesting little piece by Liz Castro, in which she explains the thinking behind the choice of November 2014. Previously the most favoured date was early September to more or less co-incide with the date of our referendum here in Scotland. So what has brought about the decision to postpone the Catalan referendum until after Scotland has voted? The reason it seems has all to do with the EU. The Catalan government, like the Scottish government, are strongly of the opinion that in the event of a Yes vote, the EU would quickly act to ensure a smooth and rapid transition to full membership of the EU. It would be above all a political decision. However the Catalan government clearly does not have the same confidence that I expressed yesterday that the EU will, before the referendums, officially pronounce on how it will respond to a Yes vote in Catalunya and Scotland. The Catalans expect the EU to continue to avoid making any positive statements, thus ensuring that doubts remain about an independent Catalunya’s continuing membership of the EU. Their solution is to postpone the Catalan referendum until after the Scottish referendum. In this way if there is a Yes vote in Scotland, the EU will rapidly set out the process by which Scotland can remain in the EU as a full member state. Thus by the time the Catalans vote there will no longer be any doubt about EU membership. This of course assumes a Yes vote in Scotland. But according to Liz Castro, even if Scotland votes no, this will have little effect on how the referendum turns out in Catalunya. You can read her article here. It is in catalan and as yet I have not found an English language version. From what I can gather, Liz Castro is an American who now lives in Barcelona. She describes herself as a neo-rural computer book writer, publisher, and Catalanist. Will Catalunya force the EU to come clean? Last week’s agreement in the Catalan parliament to hold a referendum on independence may prove to be a bit of a game changer. While there is still a long way to go before a referendum can be held in Catalunya, the fact that a clear majority of MPs in the parliament, coming from five different parties -Liberals, Christian Democrats, Greens, Left Republicans and Popular Unity – is a fact that cannot be dismissed out of hand. The Madrid government and its socialist allies will huff and puff and do everything they can to stop the referendum, but the main interest from a Scottish perspective is how will the EU respond? The first signs are not promising. Mr Van Rompuy, President of the European Council has already spoken out against Catalan independence, with the usual scaremongering about being thrown out of the EU. However others in the vast edifice that is the EU may find it harder to stick to this line. As long as it was just Scotland, the implications of independence from within the EU could be just about ignored or kicked down the road with vague threats in the form of vague generalities. However now there is the realistic prospect of two new independent states emerging democratically from within the EU. Not so easy to dismiss out of hand. Particularly when Catalunya is such a significant part of the EU. Sharing a border with both France and Spain and the main transit route between these two countries, the prospect of a Catalunya outwith the EU must send shivers down the spine of the political and business world in not just France but Italy and Germany. Catalunya is just too rich and too important to be conveniently ignored. Or bullied, which is what the Spanish government would like to do and what the Van Rompuys of the EU would no doubt like to do as well. But I very much doubt if this tactic will go down well in the rest of the EU. To simply deny the Catalans the right to self-determination would in all likelihood bring down the whole EU project. The EU cannot preach the virtues and values of democracy to Ukrainians and Russians and then deny it to their own citizens. The EU has enough credibility problems as it is, without adding to them by taking a stance against democracy in Catalunya. The import of all this is that we may soon see the first signs of a break in the EU’s position of “no comment”, but nudge nudge, wink wink, we don’t want independence from within. The demand for clarity from not just Scotland, but from Catalunya will only grow stronger and stronger. Already some Commissioners have spoken out of turn and been forced to recant. But more and more are likely to break ranks. Sooner or later the EU will have to face up to this prospect of new states emerging from within. There are two other groups within the EU which might prove willing to open up this issue to genuine discussion. The first is the EU parliament, which could pressure the Commission into preparing a full legal position. The other is the Liberal group in the EU, or to give them their Sunday name, the Alliance of Liberals and Democrats for Europe(ALDE). They are the third largest political group in the EU parliament and still carry some weight. Members of this group are also to be found in the Commission and in the governments of member states. The UK LibDems and the Catalan Liberals are both member parties in this Alliance. As one is against Scottish independence, while the other is leading the campaign for Catalan independence, it may be difficult for ALDE to remain silent for much longer. Nothing is likely to happen soon, the EU does not do soon very well. But pressure on the EU institutions will only grow and grow as a result of the Catalan decision to hold a referendum in the same year as Scotland. For a Catalan view on this the Catalan magazine Ara has published a supplement on the issues surrounding their referendum – The Moment of Truth. It is mainly in catalan, but has the key points translated into Spanish and English. You can read it here. For a good summary of how it will not just be Scotland or Catalunya that will be affected by a Yes vote, Brandon Malone, a member of the Law Society of Scotland’s Constitutional Law Sub-committee, expresses his personal view here. Is Johann Lamont “on Pause” or just stuck in the past? At this week’s First Minister’s Questions we were treated to another display of Johann Lamont’s inability to think on her feet and to respond to what Alex Salmond actually said. Ms Lamont just ploughs on regardless, sticking to her prepared script as if she were reading out a part in a play written by someone else. In this case the ostensible subject for her questions was the Scottish government’s failure to meet targets on class sizes and teacher numbers in Scotland’s schools. The figures come from the recently published School Statistics Summary. Now I do not want to get into an analysis of what this summary means. Comments on the report seem to indicate that there are both good and not so good points in it. Rather I want to focus on the Labour party’s line of attack. At FMQs Johann Lamont almost rigidly stuck to the two aspects mentioned above – the slight rise in class sizes and the reduction in the number of teachers. Both are legitimate issues for Labour, or indeed anyone else to raise. However a bit of context is always necessary when discussing the success or failure of any policy. Both pledges, class sizes and number of teachers, go back to the first SNP government, elected in 2007. Now the world has changed quite a bit since then. In particular the Scottish government’s budget allocation, which is set in Westminster, has been cut over this period. Alex Salmond gently pointed this out to Johann Lamont, but she just studiously ignored this. The same Johann Lamont who likes to preface just about every one of her comments with “meanwhile in the real world”, was blithely ignoring what was going on in the real world. There has been a cut in real terms of the order of 11% in the Scottish government’s budget since 2008. When it comes to the Scottish government’s capital budget the cut has been even greater. Yet Johann Lamont made no attempt to deny these cuts. She simply ignored them. The “real world” seems to have an Alice in Wonderland meaning for Johann Lamont. The real world à la Lamont is whatever she deems it to be. It clearly does not bear any relation to what happens in the real world of Westminster budget cuts. Judging by this week’s interventions the real world seems to have stopped in 2007. This was before the SNP took office and the Labour party was in government, when according to Johann Lamont all was hunky dory in the world, or at least in schools. She kept on harking back to this quasi mythical year that I got the impression that she was not simply “on pause”, but was actually stuck in that year. The real world of cuts and austerity seems to have passed Johann Lamont by, at least when it comes to berating the Scottish government. As usual there was not the slightest idea or suggestion from Labour as to what they would do to improve things. So much easier and much less taxing on the little grey cells than thinking about alternatives. The nearest we got to any alternative came earlier in the day when Sarah Boyack from Labour was bemoaning the ongoing freeze in the Council Tax. As with so much else one is never quite sure what Labour’s policy actually is. Do they want Council Tax to rise? At a time when everyone else in the Labour party, at least at Westminster is highlighting the biggest drop in living standards since the Victorian age. With continuing pay freezes and below inflation rises, living standards for most people continue to decline in real terms. Yet all the Labour party in Scotland can come up with is to raise Council Tax, thus further reducing the living standards of millions of people. All this it seems is a price worth paying to preserve the UK. Time for Labour to think again. What happens to Scottish MPs after a Yes vote? Angus Robertson, SNP MP, caused a bit of a stir recently when he called for a postponement of the 2015 UK General Election in the event of a Yes vote in the referendum. Thomas Widman has a good summary of the arguments for this here. I do not agree with this idea of postponing these elections. Delaying elections is rarely, if ever, a good idea. I also think there would be outrage all over the rest of the UK if this were to be seriously proposed. However Robertson’s suggestion does rais the very important issue of what happens to MPs from Scottish constituencies after a Yes vote. I offer my own suggestion below. First of all though the key point to note is that though Scotland will not become legally independent, de jure, until 2016 at the earliest, it will will be de facto independent immediately after a Yes vote. During the period between a Yes vote and the the actuality of independence the Scottish and Westminster governments will be in pretty constant negotiation over the details of the independence settlement. This means that in effect Westminster ceases to be the government of the whole of the UK and becomes instead the government of the rest of the UK. In turn this will meant that any legislation on reserved matters which affect Scotland, welfare for example, could only be enacted for Scotland with the approval of the Scottish government. The alternative is just chaos and plain daft. Whatever the rUK government might think in private, there will be enormous pressure from everyone else, the EU, NATO, not to mention the business community, for a swift, smooth and successful transition. Needlessly alienating the Scottish government makes no sense for the rUK. After a Yes vote everyone will want to see close, friendly and co-operative relations between rUK and Scotland, just as there is today between UK and Ireland. What then does this mean for the role of MPs from Scottish constituencies. Basically it means they will have no role whatsoever. All the negotiations and decisions will be taken jointly by the Scottish and rUK governments. Scottish MPs will have no input whatsoever. In the first instance this would make the positions of Danny Alexander and Jo Swinton pretty much untenable as government ministers. Then there would be the matter of what to do with the Scotland Office and Alistair Carmichael. However the key decision will be what to do about MPs from Scotland in 2015. Delaying the election is not in my view an option. I can only see one solution, and that is to exclude Scotland from the 2015 election. Given that Westminster has by then become the de facto rUK parliament, and in less than a year’s time this will be confirmed de jure, it seems the logical and most practical solution. After a Yes vote Scotland will not need representation in parliament in Westminster as all the decisions will be taken by the two governments. The rUK will not want a bunch of MPs from Scotland lounging about the place, but unable to influence the outcome of any vote. Any government that emerges from the 2015 election has to based on a majority in England, Wales and Northern Ireland. Legislation to limit the 2015 election to those constituencies that will be part of the rUK would be simple to introduce and pass. It allows the people of the rUK to exercise their democratic right to self-government, saves everyone a bit of money and simply gives recognition to the de facto reality of Scottish independence. The latest Autumn Statement by George Osborne once again confirms the failure of Westminster governments. Despite the rosy gloss put on the figures by the Chancellor, the reality is really quite dreadful. Two figures in particular highlight just how disastrous the Tory/LibDem coalition has been for the UK. First the growth figures for the UK during Osborne’s stewardship. These show that GDP is up by just 2.6% over the life of the government. However during this same period the population of the UK went up by about 2.1%. So GDP per head is up by just 0.5% in 3 years. This is the wonderful record of our rather nasty coalition. Or in other words the government’s record of failure. Secondly when we look at the figures for the UK’s national debt, we find that this is still way, way higher than it was when Osborne took over the economy. Not surprising that this figure is not mentioned by the Chancellor. Yet another record of failure. The Chancellor makes great play of the fact that the UK economy has at long last started to grow again, with forecasts for UK Growth for this year of 1.4%, next year of 2.4% and up to 2.7% in following years. However these forecasts, and they are still forecasts, are nothing to boast about. They simply reinforce the fact that the UK has been stagnating for the last three years. Once you touch bottom after a steep fall then you tend to rebound quite quickly. But, and this is the important point, you do not quickly recover all the losses of these downward falling years. The amount of lost output under the watch of our nasty coalition is quite staggering. Just in case anyone might be thinking that this is all the fault of the current Toyr/LibDem alliance, then do not be fooled. It was the last Labour government that got us into this mess. Under the unwatchful eyes of Alistair Darling UK GDP fell by 7.2% in 2008-09. While this loss was primarily the result of incompetence and greed by our overpaid bankers, it was the Labour government which allowed them to get away with it. Poor or light touch regulation was the mantra from Labour in those years. Nothing to indicate that a future Labour government would be any different. At best just a little bit less harsh. All this has come at a terrible cost. A cost which has been paid by all of us not on millionaire type incomes. This cost is twofold. The never ending austerity that George Osborne seems to glorify in has meant pretty savage losses for most people. The various cuts in wages and benefits is equivalent to a 6.4% drop in real wages, after allowing for inflation. This is a quite unprecedented drop. Which in turn has had some very drastic knock-on effects on the quality of life for millions of people. The steep rise in food banks all over the UK is likely to be directly related to this drop in real wages. I wonder what, if anything, the likes of Messrs Osborne, Cameron and Clegg have had to give up during the last three years? The other cost of course is in the lost output that comes from all these years of recession and stagnation. Yet all of this was completely unnecessary. During a period of virtually zero interest rates the government could have borrowed money to invest in mending our creaking infrastructure. Whether this took the form of for example, modernising the transport network, replacing old schools, hospitals etc, the result would have been to get people back to work and paying taxes thus boosting the government’s revenues. At the same time we would get some much needed improvements to the fabric of the UK. But public spending is regarded as bad by this coalition. So for narrow ideological reasons the rest of us have had to suffer. All so that the rich can get even richer. The other imperative for the Tory/LibDem coalition is to protect the City of London. All UK parties seem to be in thrall to this tiny part of the country. Just don’t expect Labour to do much about it if they ever get back into power. The only way to change any of this is to vote YES to independence for Scotland. When does Scotland cease to be part of EU? There seems to be increasing confusion on the part of Unionists when it comes to an independent Scotland’s membership of the EU. Despite the interventions of the Spanish Prime Minister and now it seems the Belgian government, I am still no wiser as to what exactly it is that the No campaign are saying will happen if Scotland becomes independent. Things have perhaps moved on a little, in that it now seems to be accepted that no-one will actually veto Scotland’s membership. Even Spain, the shock troopers of the No campaign, has made it clear that it would not veto Scottish membership. Some progress at last! So if there is to be no veto, then what is the problem? From what various Unionists have written it seems that there are two possible hurdles for Scotland to overcome. The first is that Scotland would have to go to the back of the queue in applying for membership. The other line of attack is that the negotiations will be very difficult and most importantly lengthy, and unlikely to be completed in time for actual independence in March 2016. How realistic are these assertions. For at the moment, assertions are all they are. The first hurdle to overcome is the claim that Scotland would have to join the same queue as everyone else when it comes to EU accession. The clear implication from this is that there is no way that negotiations can even start before independence in March 2016. Thus at that moment Scotland is not longer part of the EU and any negotiations would be from the outside. Is this in any way a credible claim? I would suggest not. For the simple reason that there will have to be negotiations between the EU and rest of the UK(rUK). These negotiations will have to take place during the period between the referendum and Scottish independence in March 2016. Why? Because the rUK needs EU agreement to its change in status. Now I have no doubt that this agreement will prove pretty simple and easy to achieve. The UK is the current member state and the rest of the EU want rUK to remain in the EU. So I do not foresee any difficulties in these negotiations. But, the point here is not the outcome of the negotiations, but simply that negotiations will have to take place. Now, I ask any passing Unionist to explain how the EU could agree to negotiate with rUK, but refuse to negotiate with Scotland? On what grounds would they provide for agreeing to one, but not the other. Are we to assume that countries such as Ireland, Denmark, Sweden, not to mention all the newly independent members would just accept such blatant double standards? What would such a decision say about the values of the EU? While in theory anything can happen, one usually has to produce some evidence to support that something is likely to happen. I can see none for this scenario. The second line of attack for Unionist is to claim that the key will be the terms and conditions of an agreement. Under this scenario Scottish membership is welcomed, but the negotiations prove difficult and lengthy. So lengthy that they are unfinished by the date of Scottish independence in March 2016. Now this is clearly a real possibility. Not a likely one I would contend, but nevertheless a genuine possibility. No-one can tell in advance exactly how negotiations will go. So, does this meant that in this scenario come March 2016 Scotland is no longer in the EU? Once again I think not. In this case we need to look at the consequences of such a decision. Not for Scotland, for it is obvious that this would be very bad for Scotland and its economy. However it would also be very bad for the rest of the EU. Just think about it for a moment. Scotland is no longer bound by any of the myriad of EU regulations. The Common Fisheries Policy no longer applies to Scotland. So Spanish and other fishing fleets would have to cease fishing in Scottish waters. What about all these EU students at Scottish universities, studying without having to pay any tuition fees. Suddenly they would be faced with quite substantial fees. What about the thousands of EU citizens from other countries working in Scotland. If Scotland is no longer part of the EU, they would cease to have a legal right to work and live here. Then there is the position of all those Scottish citizens who work in other EU countries. The vast majority will be highly skilled workers, fulfilling key roles in their companies or organizations. What becomes of their status. Perhaps though the biggest upheaval would come through having to change all the EU treaties and all the EU directives and regulations, to exclude Scotland from their application. What a nightmare for the EU. Presumably every member state would have to change their own laws and regulations to exclude Scotland. A bit of mess to put it mildly. And all for what? After all let us remind ourselves, this is in the scenario when the EU wants and welcomes Scottish membership. Let us also remember that Scotland would be a net contributor to EU funds. No doubt not a huge amount of money, but in times of straightened budgets any net loss would be unwelcome in Brussels. Finally let us remember that the only difficulty is that the negotiations have not been concluded by March 2016. How much longer would be needed – six months, one year? Is it seriously suggested that the EU and all its member states would even contemplate going through all this bureaucratic change only to have to reverse it all in the space of a few months? I know the EU can be a bit quirky at times, but really! Is this even remotely a realistic scenario? Now I do not claim to know what would actually happen in such a scenario. I merely note that the EU has a long history of last minute avoidance of calamity. And who knows, the prospect of failing to reach an agreement by March 2016, and what that would entail, might be just the political imperative that focusses minds wonderfully and ensures that the deadline is met to the satisfaction of both parties.